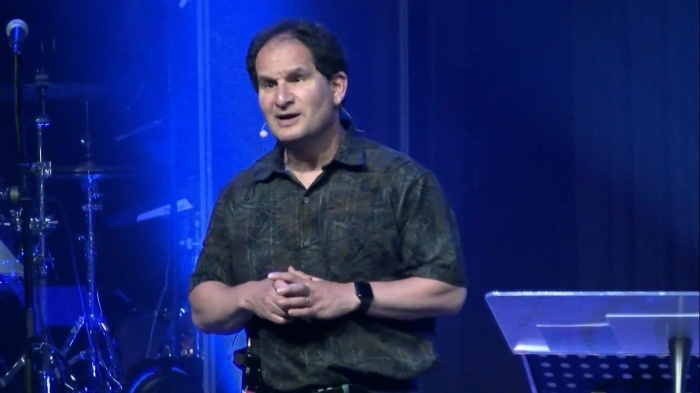 Pastor Rich Nathan of Vineyard Columbus has announced that in two years time he will hand over the leadership of the church and move on to a new position. Nathan, who leads one of Ohio’s largest megachurches with an average weekly attendance of close to 8,000 people, explained on his website that he wants to make sure people don't mistake the announcement for any suggestion that he is retiring from ministry. “I'm not retiring! Let me say this in a different way: I’m not going anywhere and I’m not retiring!” he wrote. “The plan is that in January 2021, when I turn 65 I will hand the leadership of Vineyard Columbus over to my successors. But the plan is to have me continue to preach on a preaching team until I’m 70. I’m still fabulously energized by preaching and seeing people come to Christ and then be transformed by His love. That never gets old!” he added. Vineyard, which uses its record label Vineyard Music to release worship albums for its 2,400 affiliated churches worldwide, announced on its Columbus chapter website that Eric and Julia Pickerill, co-associate pastors to Nathan, will take over as co-senior pastors in January 2021. The married couple explained that in 2015 they returned from a missionary trip in Amsterdam, and they were trying to figure out where ministry would lead them next, when Eric Pickerill says that God spoke to him and told him that Vineyard Columbus is in their future. “I saw a picture of one church in ten diverse congregations around the city that were living out the kingdom in different ways. My heart caught fire and I thought, ‘This is just like God, allowing us to go to the place where we wanted to be so he could show us the place he wants us to be,'” he explained. Julia Pickerill added: "Around the same time that the Lord spoke to Eric, God gave me a very clear and intersecting word — that he was constraining me to love and serve Vineyard Columbus. In that moment — I can recall where I was sitting when I heard God speak — our family’s entire expectation of our future changed! And it didn’t just shift logistically — something shifted in our souls. The peace and clarity we’d been looking for in our transition finally fell on us. We experienced much external confirmation of our internal leading as well. " The couple said that they are deeply committed to championing the diversity of the church. “It’s all too easy for diversity to be a value instead of a virtue. A value is something we believe and are motivated by, but a virtue is something we practice. Our congregation, campuses, volunteers, leaders and staff, have much more practicing ahead of us,” Julia Pickerill said. Nathan pointed out that Vineyard Columbus’ Church Council and Pastoral Advisory Team unanimously agreed with the Selection Committee’s recommendation to select Eric and Julia Pickerill for the position. "Our process was not merely a human weighing of the pros and cons of various candidates. Over the course of our history, Vineyard Columbus has sought to live out the truth that Jesus is the head of the church! He gets to call the shots, not us! He initiates and we follow," the senior pastor wrote. He concluded by declaring that he believes Vineyard Columbus' best days are ahead. "I eagerly await the surprising gifts that the Lord has in store for us and for our city as we enter this new chapter in our story," he wrote.